One of the best parts about having a kitchen again is being able to make my own food. 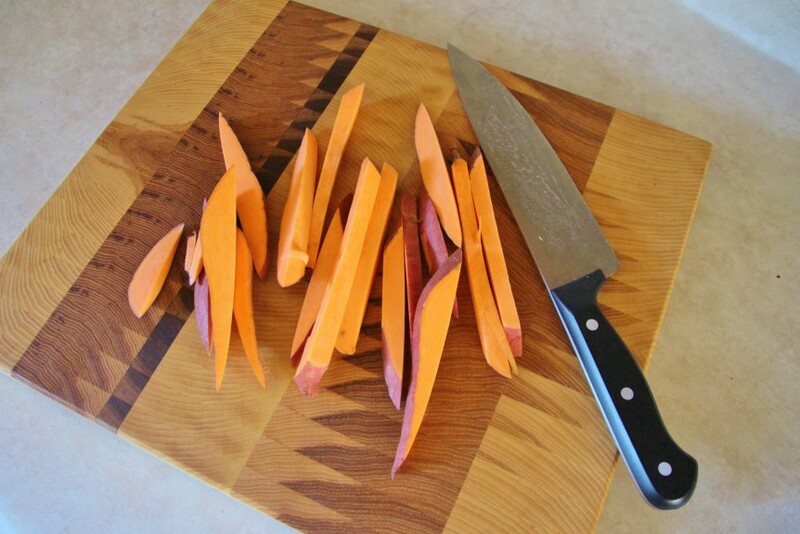 There are so many awesome healthy recipes out there for foods most of would think of as vices. 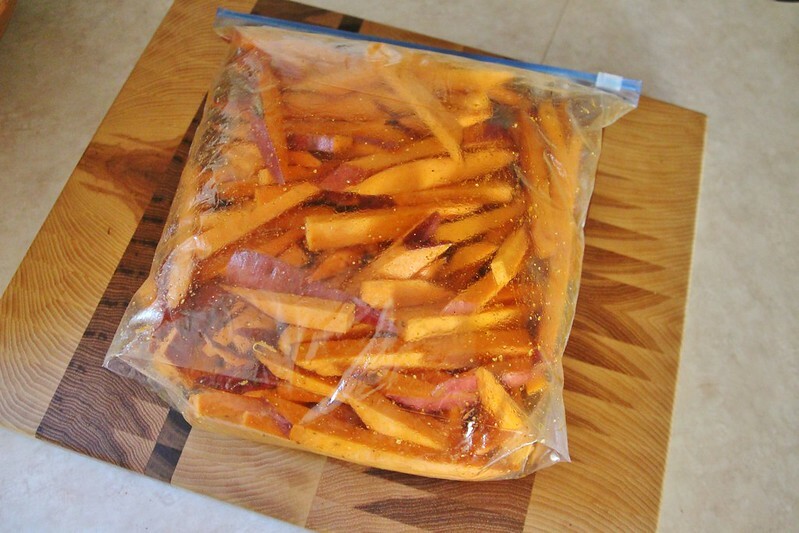 For Tom’s birthday this month, he requested sweet potato fries. I scoured the internet and found some great options, but ultimately tweaked the recipes I found and threw in my own touches. 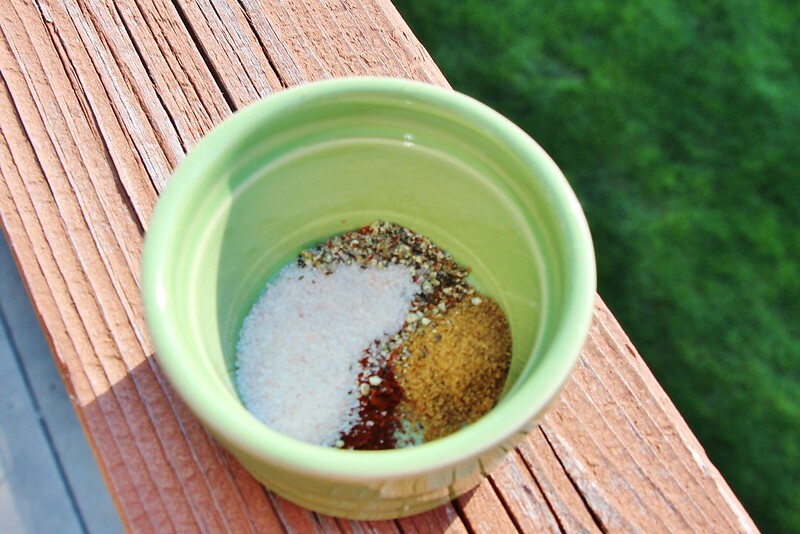 Shake with and Marinate with oil, garlic, cumin, basil, and cayenne for about 20 min. I like to shake it in a gallon size zip lock baggie. 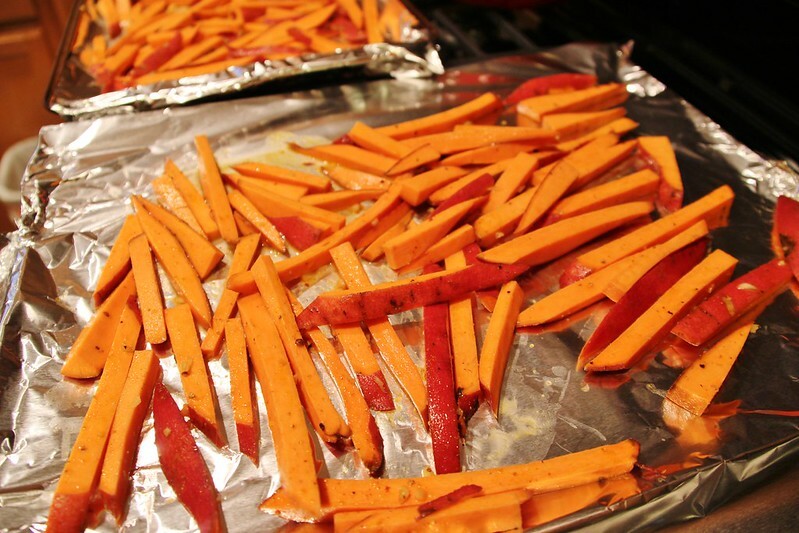 Spread Tin foil over a baking sheet Spread marinated sweet potatoes evenly over baking sheet making sure not to layer. Cook 10 min each side or until desired crispness is reached. 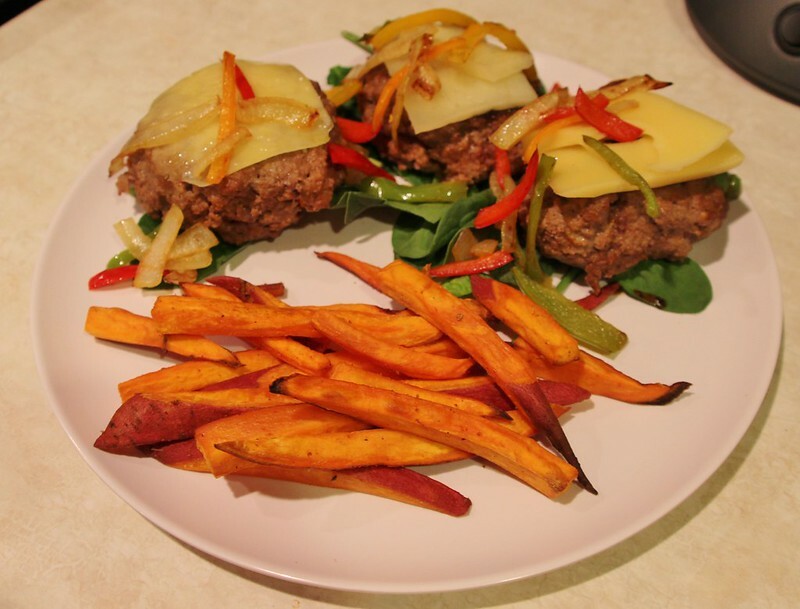 Serve with stuffed burgers for a yummy paleo dinner!